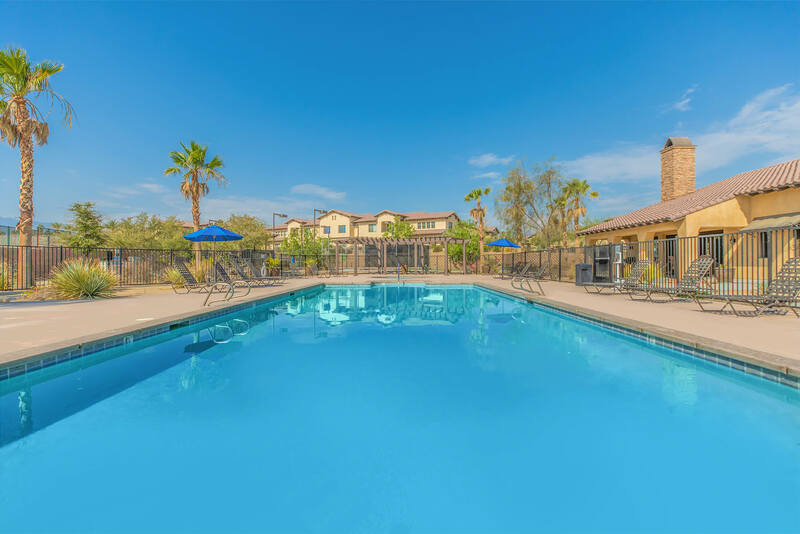 Located in one of the most exclusive and beautiful locations in Palm Desert, California, The Vineyards at Palm Desert Luxury Apartment Homes invites you to enjoy a new dimension of resort-style living unsurpassed by others. Our one, two and three bedroom designer inspired apartment homes feature granite countertops, custom cabinetry, two-toned paint, stainless steel appliances, full-sized washers and dryers, spacious walk-in closets, attached garages and private patios and balconies. Our beautiful community is conveniently located on College Drive near the intersection of Cook Street and Frank Sinatra Drive, just south of the 10 Freeway. The Vineyards at Palm Desert Apartment Homes also offer amazing amenities such as a beautiful resident clubhouse complete with chef’s kitchen and flat-screen TV’s, business center, fitness studio with free weights and cardio equipment, three resort-style swimming pools, putting green, tennis court and so much more! Welcome to luxurious living at its finest!